“I’m so grateful!” | Highfields, Inc. When Jodi was in crisis, she reached out for help. Thanks to you, Highfields was able to step in and stabilize her family. Jodi has four amazing children under the age of 15 and all have special needs. “Before we started working with Highfields, we were unable to go to the store, go on family outings, or eat meals together as a family because of my children’s behavioral issues,” said Jodi. Her youngest son is 11-years old and has a variety of challenges. He has Post Traumatic Stress Disorder, Attention Deficit Hyperactivity Disorder, Oppositional Defiant Disorder, Autism, Mood Dysregulation Disorder, an overactive bladder, and suffers from depression. He started having problems at school and would run away from the building because he didn’t want to leave Jodi. She had to take him out of school because of his behaviors, and that’s when she reached out for help. Jodi began working with Highfields’ Home-Based Therapist, Peggy McComb, to address her son’s needs. During the program, Peggy gave Jodi parenting tools for all of her children’s unique needs. “I am happy to say that we are now able to go out as a family and do things together with minimal issues,” said Jodi. 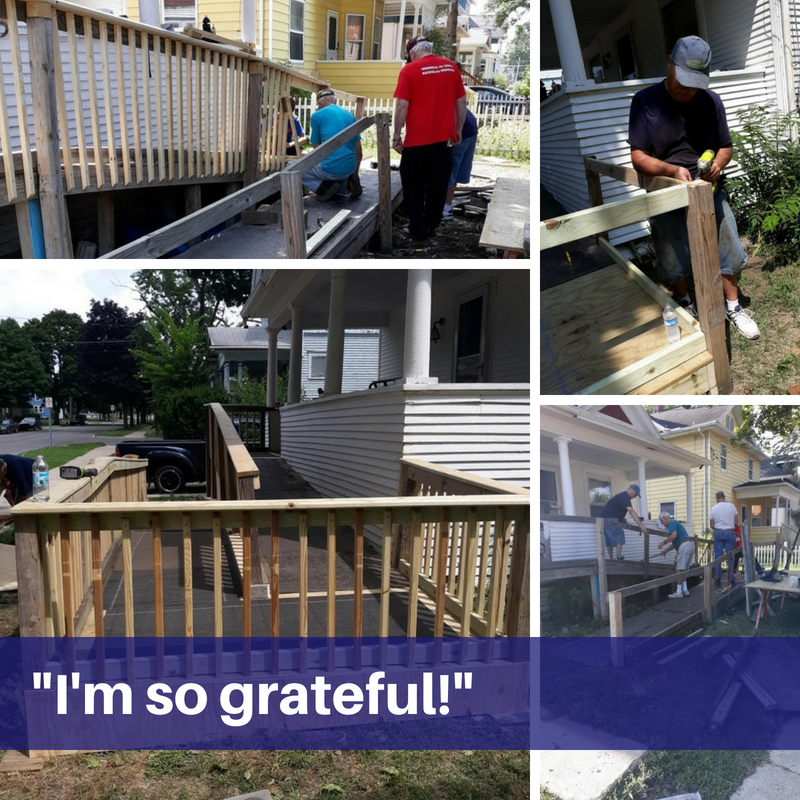 Peggy and Highfields even helped Jodi find a local church group in the community to upgrade the wheelchair ramp outside her house for her daughter. With the help of Peggy, Jodi’s son was successful in going back to school. He is properly diagnosed and has services for his special needs. In May, Highfields’ Autism Case Management counselor, Nina Huver, was brought in to help coordinate services related to his Autism diagnosis.